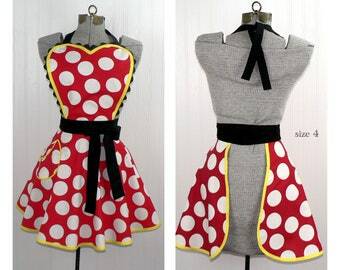 Retro 50s Circle Skirt Apron combines a full "twirly" skirt with a scalloped sweetheart neckline on the bib. 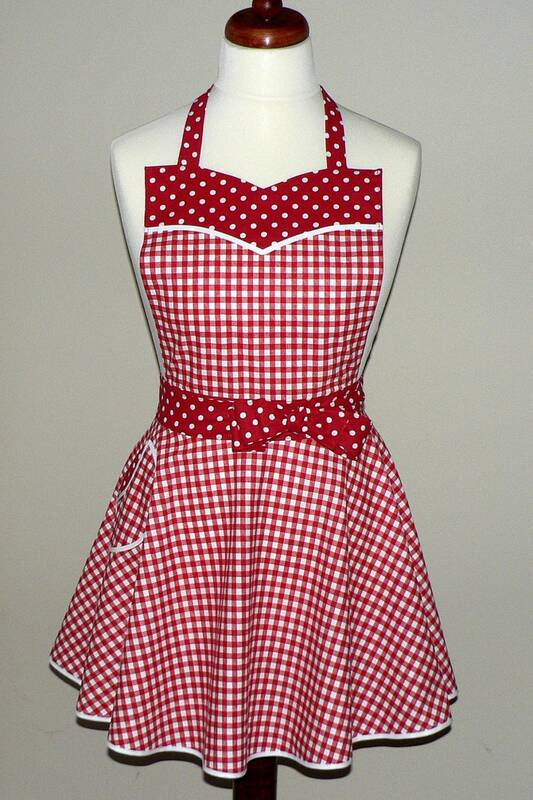 This cheerful apron in gingham and polka dot fabrics measures 29 in. from the bib to the bottom of the skirt. The long sash can be tied either in the front or back as desired for 2 different looks. 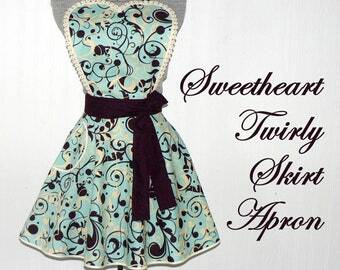 Cute circle pocket on the twirly skirt is about 6 in. wide, and keeps your cell phone, iPod, or recipe handy. Main fabric is a retro gingham print. 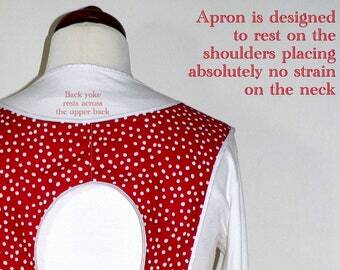 Coordinating polka dot fabric is used for the scalloped top of the bib and for the sash / ties. 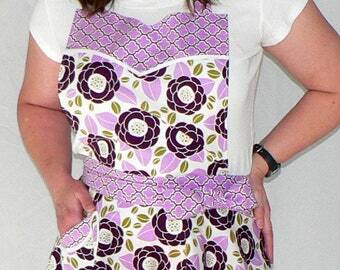 White bias binding frames the pocket and edges of the apron. Makes a great gift for the cooking/baking enthusiast on your gift list! AVAILABLE IN EITHER RED GINGHAM OR BLACK GINGHAM!!! Item is even better than I had hoped for.